Create a fun modern quilt and learn the basics of quilting. This is a block of the month class from 11am-12pm the 1st Saturday of every month. It is $45 to register. 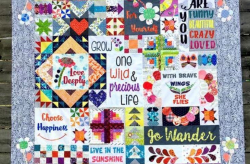 This registration fee entitles you to all Modern Quilt sampler classes and gets you the first months, blocks. Class starts in October 2017 and goes thru May 2018. Participants will need to purchase Dear Daughter Quilt Book and background fabric. When you bring your finished blocks to the next months class you get your next blocks free! If you miss a month it’s just $5 to jump back in! 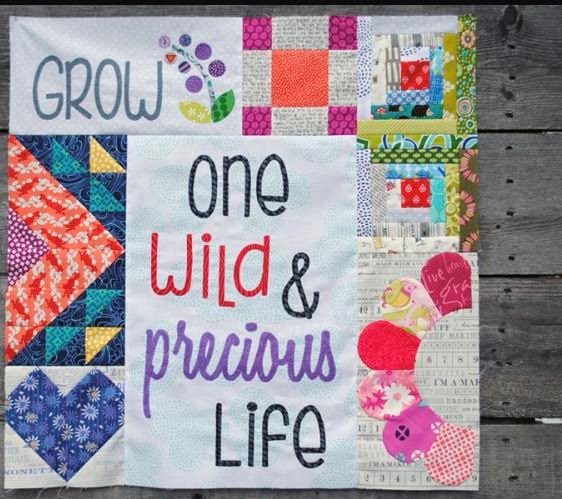 Soo….you can make all your quilt blocks and learn how to quilt for only $45! Come ready to create and learn. Purchase Dear Daughter Booklet $29 and background fabrics.